Lord, forgive me for writing too close to an ungodly phrase, but it's too true: this place has the only Seitan you need in your life. 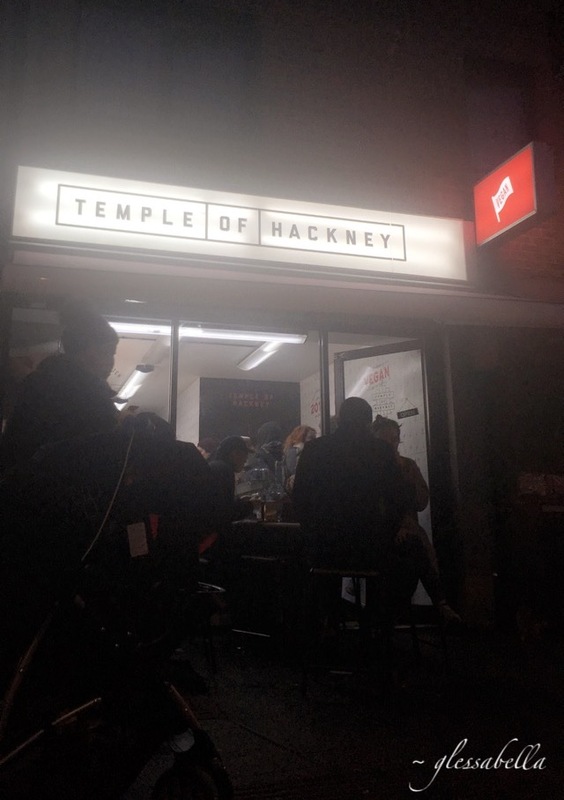 I'm very delighted to be writing this post because I had been anticipating my very first experience of Temple of Hackney's fast food... VEGAN FAST FOOD! Temple of Hackney is also known as Temple of Seitan and, though I'm not a fan of the latter name, it makes a whole lot of sense once you try some of their delicious fast food. Their recipes are practically biblical. From their classic Temple Burger, to some ridiculously flavoursome buffalo Hot Wings, this fast food joint sells top quality vital wheat gluten, formally known as seitan. 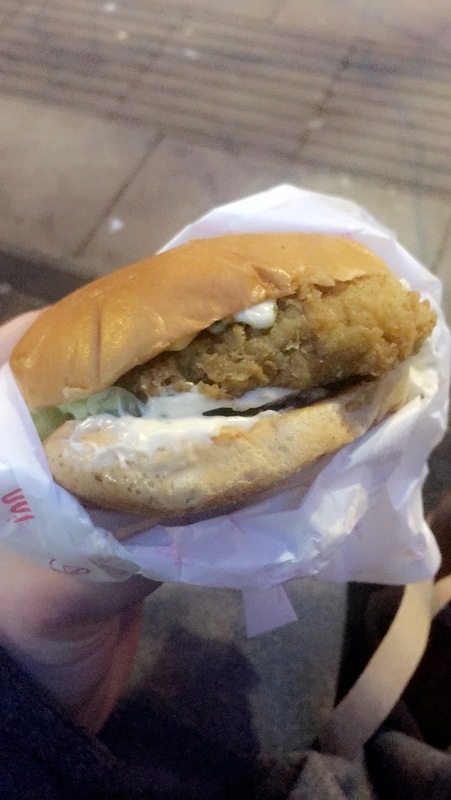 I still can't get to grips with how meaty, juicy, and tasty their patties were, and the best part is they're healthier, damn-right filling, and completely cruelty free! Gone are the days you'll question your morals when eating greasy fast food, because Temple of Hackney is most definitely here to stay... and branching out! I thought it fitting to order their Temple Burger as a classic way to lose my Temple of Hackney virginity, and I'm telling you - mind blowing. The tasty seitan patty topped with vegan bacon, cheese, and slaw healed my body from my meat gluttony and won me over on the first bite. 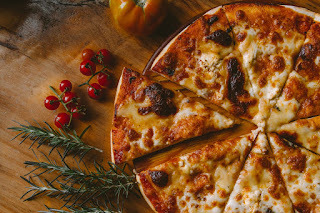 The subtle sweetness in the cheese with the smokiness of the bacon embracing the complex savoury flavours of the seitan... lol I definitely just drooled. Instead of going for their meal offer (+£2), I decided to get a side of their Popcorn Bites because I'm a sucker for deep fried and breaded food. Trust me on this: the popcorn bites look, feel, and taste beautiful. They don't have the same bite to them as regular chicken popcorn bites have to them, but definitely close enough. I instantly thought the taste was a little familiar though, and my siblings agreed when I took some home for them to try. It was probably the seasoning, but the first thing that came to mind was Christmas stuffing. Did I taste a hint of sage, perhaps? Anyway, they're golden, crispy, and greasy - what else do you want from deep fried popcorn bites? Although the food I ordered lived up to the standards I had - and I'm happily going back to eat everything else on the menu - the only thing I'd criticise is that the location is a little out of the way. 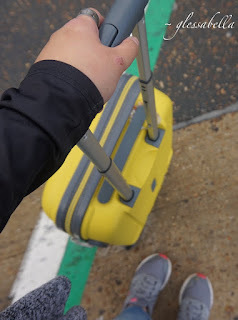 Hackney isn't too far of a stretch from central London, but I noticed that the reason me and friends haven't gone there sooner was because accessibility isn't very convenient. However, this certainly doesn't stop the unique chippy from being flooded with excited customers. The great news is that they'll be opening up a new branch soon... in CAMDEN! Make sure to head over to Temple of Hackney/Seitan and try out their delicious Seitan-based fast food - yes, that means you meat-eaters too!